Inspired by a classic puzzle game. Originally created in April 2015, updated in October 2017. 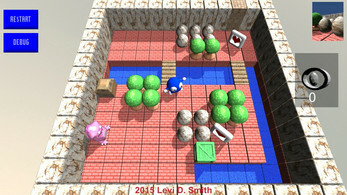 Collect all heart frames to open the chest. 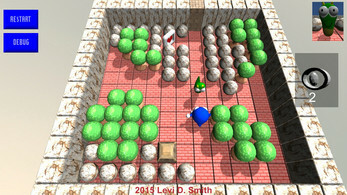 Collect the opened chest to open the door to each level. Yellow heart frames will give you shooting ability to turn enemies into eggs. 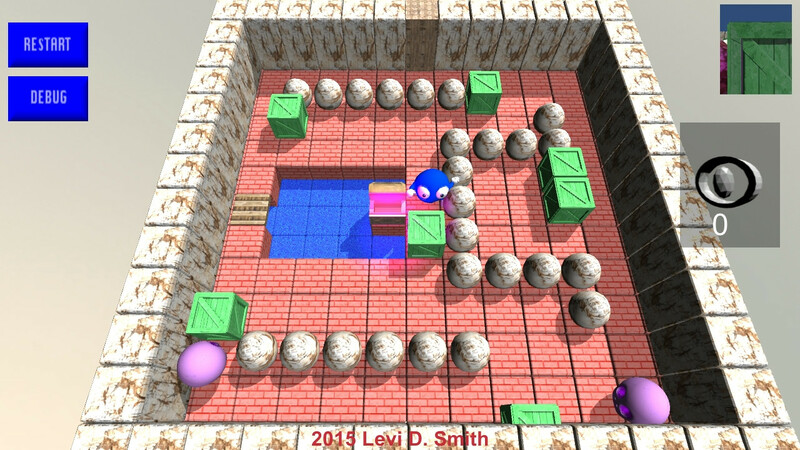 Shoot an egg to clear the enemy from the screen. 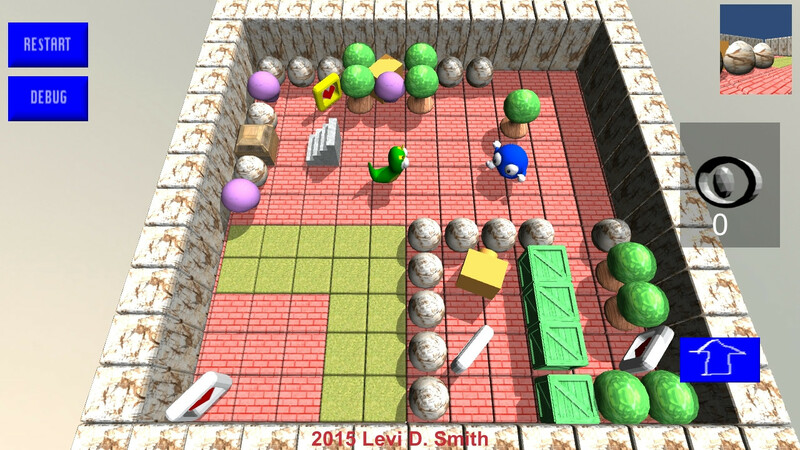 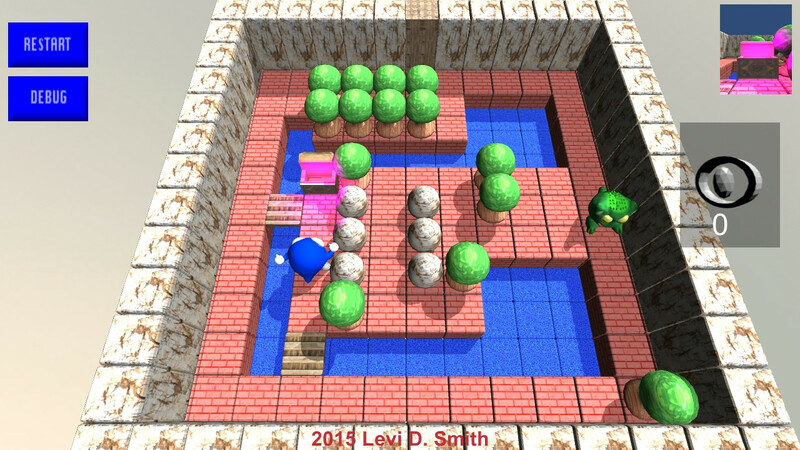 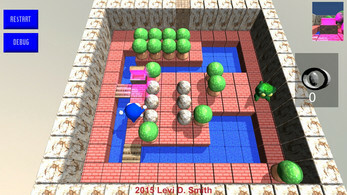 Push green crates to block enemies and projectiles.